GM Boxed Standard Spec Front Brake Discs and Pads Set, suitable for Vectra C/Signum ('02- ). Part numbers are for reference only and do not represent the origin. Actual discs may differ from those pictured. *Please select from the drop down menu below which disc size you require. 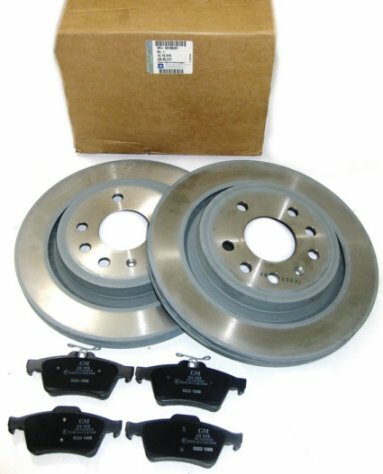 GM Boxed Standard Spec Rear Brake Discs and Pads Set, suitable for Vectra C/Signum ('02- ). Suitable for models with 5 stud pattern. *Part numbers are for reference only and do not represent the origin.